The prime minister has raised Uganda’s controversial proposed laws on homosexuality with the country’s president at the Commonwealth Heads of Government conference in Trinidad. 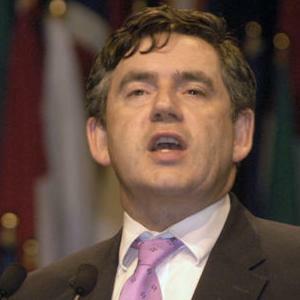 Gordon Brown told Yoweri Museveni that he was opposed to laws that could result in the execution of gays. The bill, which had its first reading in Parliament last month,would mean death or life imprisonment for those convicted of homosexuality. Those found guilty of “promoting” homosexuality would also received harsh punishments. The death penalty would be used against those found guilty of “aggravated homosexuality”- a sexual act where one person has HIV or AIDS. Gay rights groups have urged Commonwealth leaders to throw Uganda out of the Commonwealth unless it drops the proposed law. Earlier this week, Museveni said: “I hear European homosexuals are recruiting in Africa. “You should discourage your colleagues [who are gay] because God was not foolish to do the way he arranged. Earlier this month, the Foreign Office told PinkNews.co.uk: “The adoption of the bill could do serious damage to efforts to tackle HIV and its criminalisation of organisations that support homosexuality could, in theory, encompass most donor agencies and international NGOs. Although Brown’s discussions with President Museveni have not been made public, his spokesperson said that he raised the issues and that the British government’s view on this matter was clear.